Misconceptions about people in poverty and reliance on social welfare programs contribute to poor public policy decisions. Policies in Georgia that reduce Medicaid would negatively impact many children, as well as many disabled, elderly, and blind Georgia residents. Medicaid provides 2 million Georgians with access to health care, including 1.3 million children through the Peachcare program. Medicaid pays for more than 50% of births in Georgia and 75% of the cost of Georgia’s nursing home patients. Enrollees for Medicaid must meet specific criteria in order to be eligible for Medicaid. Moreover, the federal government spends over two dollars for every one dollar Georgia invests in Medicaid. 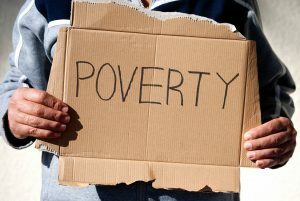 The UN report identified pockets of poverty at third world levels in the US. Unfortunately, Georgia ranks in the bottom 20% of the nation for poverty and the next to last in the nation for healthcare coverage. Understanding poverty and its impact on Americans is critical to making good policy decisions. Contact your local, state and US Congressmen and Senators to discuss these important topics. Also, if due to a disability, you are without sufficient income or medical coverage, contact this law firm.